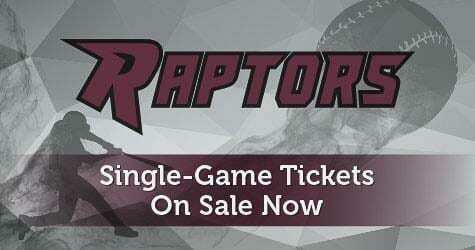 RIDGEFIELD — Ridgefield Raptors single game tickets are on sale now at https://ridgefieldraptors.com/calendar/tickets/ . Opening day Fireworks Night June 4 against the Yakima Pippins are now available for the team’s inaugural West Coast League game in Ridgefield at the Ridgefield Outdoor Recreation Complex. General Manager Gus Farah stated “the Raptors are excited to share this experience with the community, and the excitement of launching Raptors baseball for all of Southwest Washington to enjoy and call their own. The West Coast League is a wood-bat baseball league for college-age players. The entire selection of Raptor tickets: season, groups, mini packs and single game are available for purchase. Get your tickets early and help us make history in Southwest Washington.